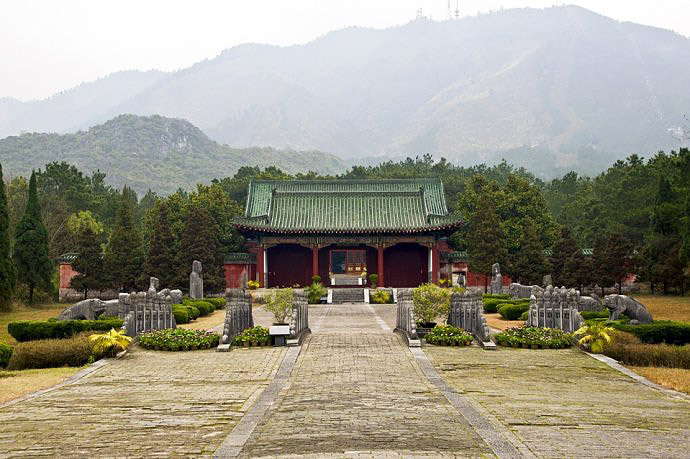 Tombs of Prince Jingjiang are located at the foot of Yao Mountain in the eastern suburb of Guilin. Eleven generations of Jingjiang royalty are buried there in more than 300 tombs during the Ming Dynasty (1368-1644). Prince Jingjiang was the nephew of Ming Taizhu - the first emperor of the Ming Dynasty. In order to strengthen the centralization of state power, Ming Taizhu designated his 24 descendants as kings to govern different region in ancient China. Prince Jingjiang is dispatched by the emperor to Guilin, and built his palace - Prince Jingjiang Mansion - at the foot of Solitary Beauty Peak. The descendent of Prince Jingjiang chose this mausoleum site as their burial place. These Ming princes built their lavish tombs on the order of the famous Ming Tombs in Beijing. The burial site is enclosed by an oblong-shaped red wall, which divides the complex into the outer palace and the inner palace. Over 300 tombs are spread over 100 square kilometers. Like most Chinese mausoleums, a sacred way leads to the inner palace. Along the way lines stone statues of animals and government officials which were believed to guard the tombs. 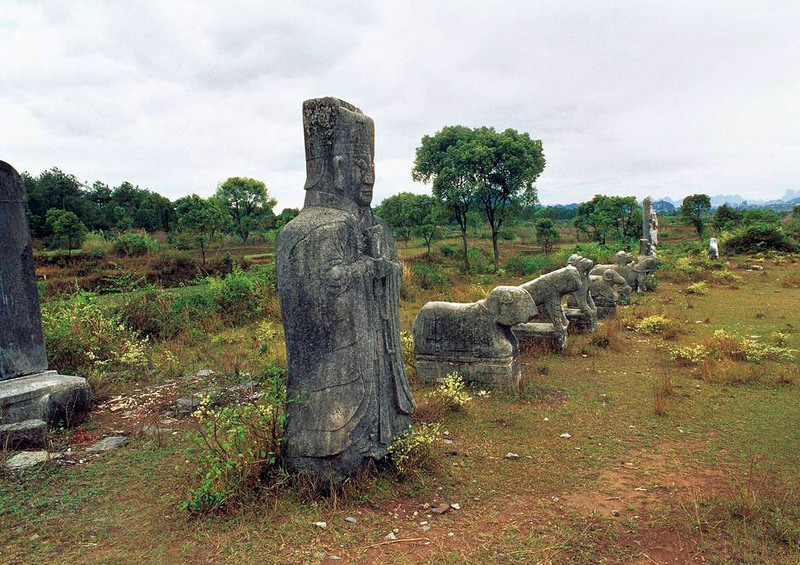 Certainly, it is the biggest ancient seignior's mausoleum group in China.